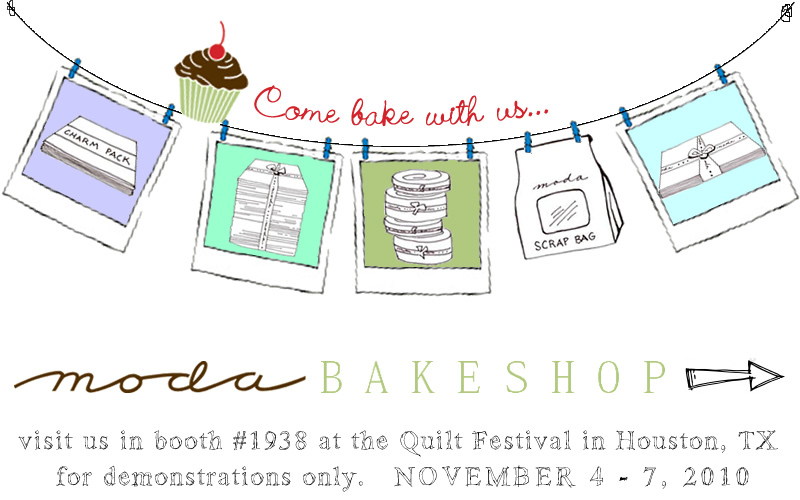 I am so excited about next week... the Moda Bake Shop will be having a booth at Quilt Festival! 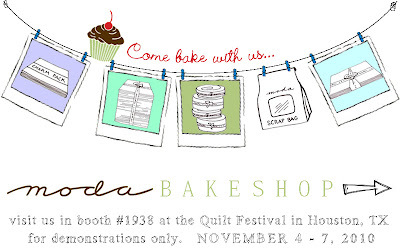 We will be doing demonstrations and handing out a fun little goodie! One of these years I will have to make a visit!! But oh I can't wait!! I kinda wish I was special enough to have one of my quilts showed, but oh well. :D Just encouragement to try harder!! I'll be there in spirit! I wish I could go! I am planning on going to market in May though. So hopefully MBS will have a booth then.